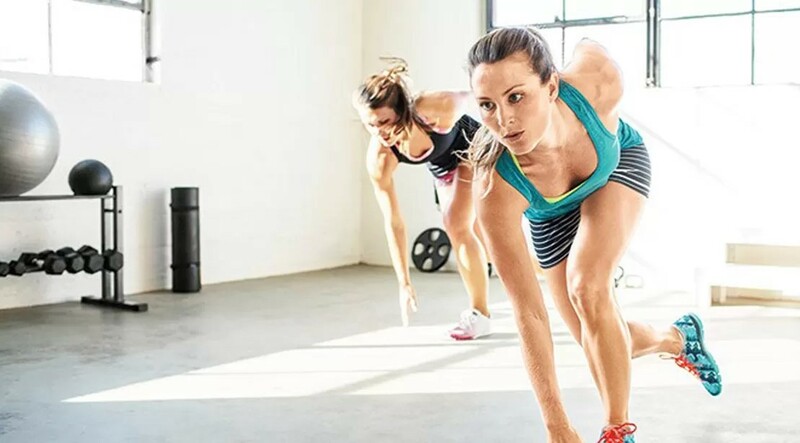 One reason HIIT workouts are so popular is their surefire success. And a slimmer physique isn’t your only reward. Multiple studies show significant training benefits that range from improving aerobic fitness to a bigger afterburn effect. A study published last year in the journal PLOS One found that those who did HIIT workouts three times a week showed an 11% increase in aerobic training. Research also shows regular HIIT workouts can improve blood pressure, insulin sensitivity, and cholesterol profiles. 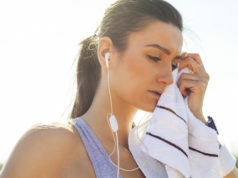 Because HIIT workouts are meant to be supertough, experts caution that you should allow at least 24 hours to recover and do them no more than three times a week. Greater frequency can lead to overtraining and hamper your recovery and your fitness gains. Also, make sure to warm up with at least five to 10 minutes of moderate, dynamic movement before you go full throttle. Dallas-based athletic trainer Kim Truman has put together this gradual interval program that builds up your aerobic capacity. • Jog for 30 seconds at 70% of your maximum heart rate (or 7 on a scale of 1 to 10). Rest by stepping onto the side panels and standing for 30 seconds. • Run for 30 seconds at 80% of your MHR (or 8 out of 10). Rest by stepping onto the side panels and standing for 30 seconds. • Sprint for 30 seconds at 90% of your MHR (or 9 out of 10). Rest by stepping onto the side panels and standing for 30 seconds. • Sprint for 30 seconds at 100% of your MHR (10 out of 10). Rest by stepping onto the side panels and standing for 30 seconds. This total-body workout from Felicia Romero, an Arizona-based IFBB figure pro, gets your heart rate soaring with a variety of high-intensity body-weight moves plus treadmill speed bursts. Darlene Kalina Salvador, a personal trainer in Redondo Beach, CA, likes this treadmill circuit to target legs and glutes. Try using 15- to 30-pound dumbbells. Hop off for the lunges, slowing the treadmill speed to 1–2 mph before getting off. As if your burpees needed a boost in intensity, to make them even more challenging, try performing them on a box, suggests Salvador. Start with a dynamic warmup of squat lunges and calf stretches, then finish your workout by stretching your quads and hamstrings. • Stand with a box in front of you. Do a burpee: Squat, placing hands on floor; jump feet behind you; jump feet back to squat, then jump on top of the box. Step down; repeat for 1 minute. Salvador suggests using a low to medium box for this plyometric workout. Use it to help improve power and explosiveness for better performance in the gym or sports. Stand in front of the box with feet shoulder-width apart. Bend knees and lower hips back and down into a short squat. Jump forward and up on top of box. Jump back down lightly, keeping knees and hips slightly bent. Repeat. Stand behind the box. Lift leg and tap the top of the box with your foot. Jump and switch to tap the opposite foot on top of the box. Continue, alternating sides. Stand with box behind you. Extend right leg, placing top of right foot on the box. Bend left knee 90 degrees, then do a small hop with left leg, landing softly and keeping your right foot planted on the box and right knee slightly bent. Continue to squat and hop with the left leg for 30 seconds. Switch legs and repeat. Patricia Friberg, creator of the Belly Beautiful Workout, uses the proven 2-to-1 work-rest ratio for this body-weight-based routine. Do each high-intensity movement for 40 seconds, followed by 20 seconds of easy strength moves. Each round lasts 7 minutes; do them 3 times through. Squat, then explode into a jump, hugging knees. Squat low as you hop out to the side with the opposite arm reaching toward the opposite foot, rotating through the torso. Hop side to side and swing arms accordingly. Lunge, then jump up, switching legs in the air. Alternate bringing one knee in toward chest; alternate opening the knee out to the side toward the shoulder. Example: right knee center, left knee center, right leg side, left leg side. Crawl forward and back on all fours with your knees off the floor. Kneel on all fours, then raise opposite arm and lift opposite leg. Cindy Whitmarsh, president of San Diego–based Ultrafit Nutrition Systems, has designed this workout made up of 10 high-octane moves. Each exercise is performed for 1 minute with 30 seconds of rest between each. Use this combination of barre, strength, and cardio moves designed by BarreAmped creator Suzanne Bowen to challenge your core and lower body. Stand in a plié position, toes turned out. Bend knees, doing small pulses. Stay low and make sure not to let knees pass toes. From the plié squat, lightly jump off the floor, straightening legs in the air. Step right foot out to a side lunge, and lift right heel for a challenge. Keep left toes and leg facing forward. Do small pulses with right leg for 1 minute. From the plié squat, lightly jump off the floor. Repeat side lunge, this time stepping to left and pulsing with left leg. Step to right, squatting back into your right hip. Reach arms down toward right toes, keeping back straight. Extend arms up, pushing off right leg and lifting right foot, balancing on left leg. Raise right knee up and forward, resting your right foot next to your left knee, toes pointed. Then lower down back to the side-lunge position. Repeat for 1 minute; switch sides and repeat for another minute. Eric Salvador, lead instructor at New York City’s HIIT-focused studio the Fhitting Room, uses manmakers to target all the major muscles in a short amount of time. Move seamlessly into each exercise, holding on to a pair of light dumbbells the entire time. a. Start in a pushup position with a flat back, holding a dumbbell in each hand on the floor, palms facing in. Do one pushup. Holding full-plank position, row one dumbbell up to your side; lower and repeat with opposite arm. Return to full plank, then jump feet forward and move into the bottom of a squat. b. From the squat, stand up holding dumbbells at your sides. Hammer curl weights to shoulders (thumbs pointing up) and explosively drive weights overhead, keeping palms facing in until arms are fully extended with biceps by the ears. That’s one rep.
Repeat this combination 6 times. Eric Salvador uses this 5-round HIIT routine to target all the body’s muscles in 30 minutes. Tight on time? Shorten the workout by doing fewer rounds. Repeat this circuit 5 times.